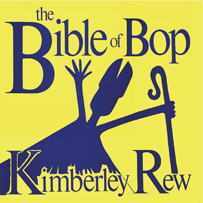 Bible of Bop features Rew's performances backed by the Soft Boys, The Waves, and the dB's. Originally released in 1981. This is the first time on CD for this influential album. Liner notes prepared by Ralph Alfonso and include notes written by Kimberley Rew for this re-issue. Booklet includes many rare pictures and full recording details.